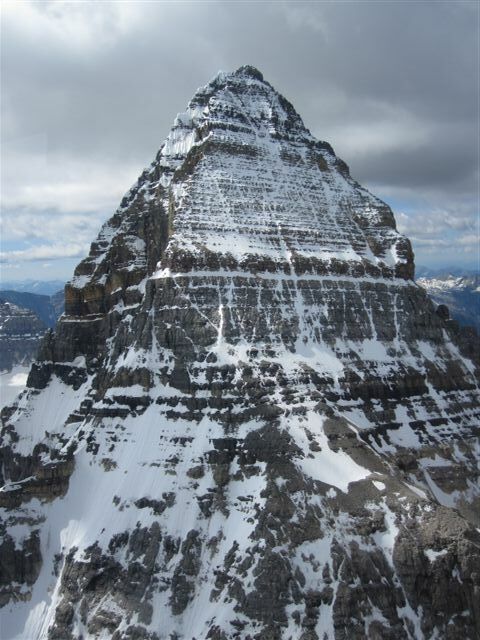 Mt Assiniboine 3618m, “Matterhorn of the Rockies”. 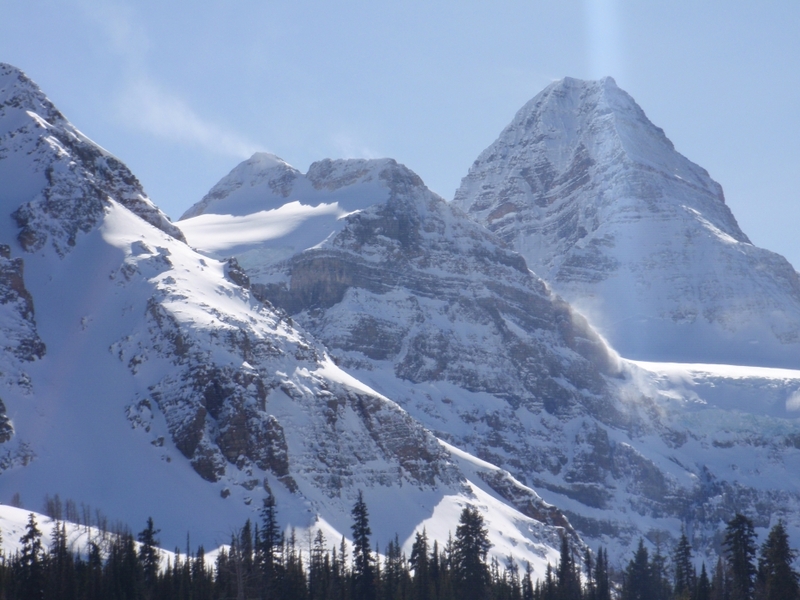 The highest peak in the southern rockies. 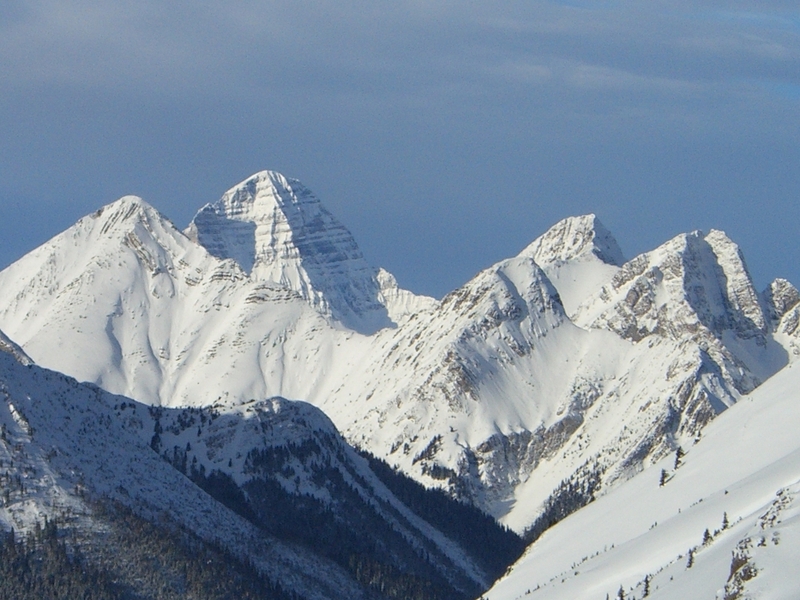 The North Ridge is the classic line to the top and is a 3 or 4 day trip. This route is 1:1 client guide ratio when the route is in time consuming mixed conditions. 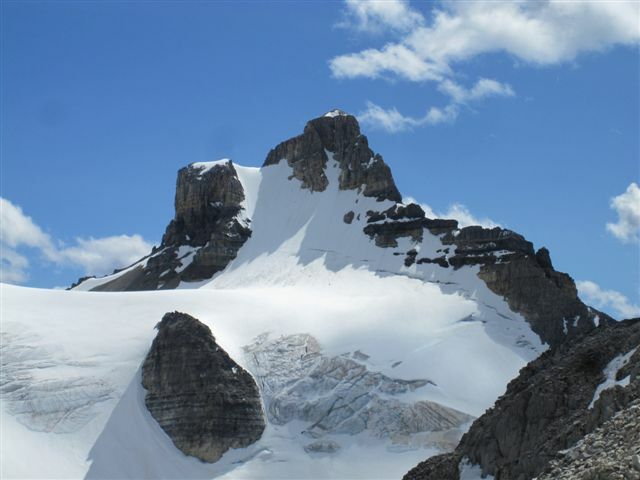 Often in late Aug the route is dry of ice and snow all the way to the summit ridge and a second climber is suitable. Day 1- Fly from Mt Shark, 45 min from Canmore into Assiniboine Lodge. Then we climb up to the Hind hut via the Mosers Ledges. 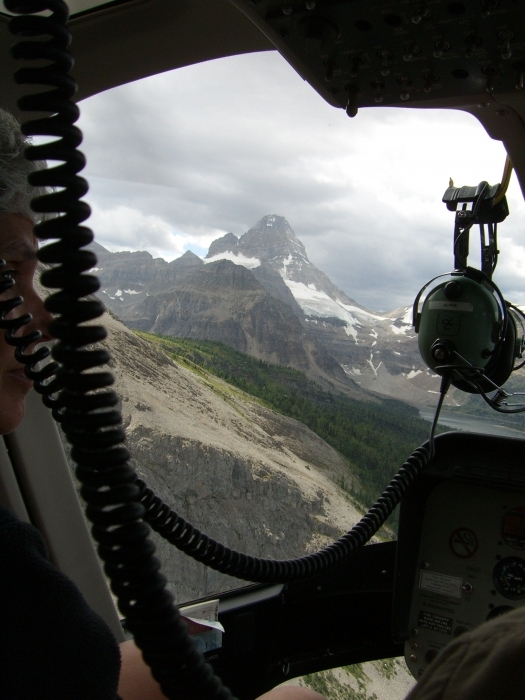 Day 3- Climb/hike down from the hut to fly out from Assiniboine Lodge back to Mt shark. 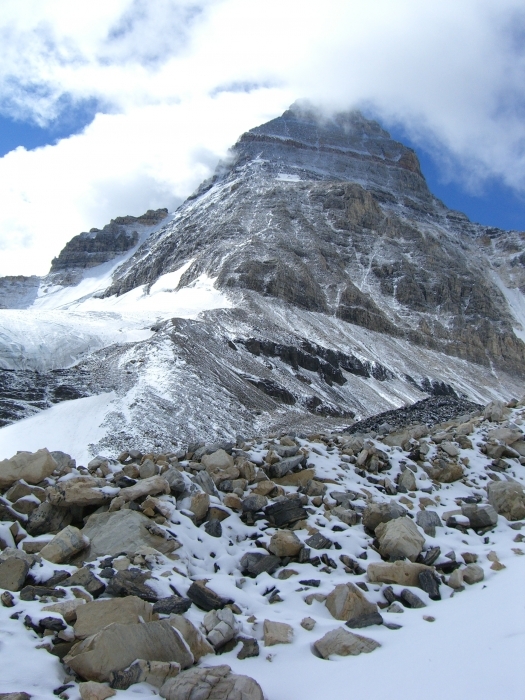 Day 4- Allows for a bad weather day and a second try for Assiniboine or an ascent of nearby Mt.Sturdy. Mt Sturdy: This peak is on the west side of Mt. Assiniboine and is not far from the hut at a much lower elevation. There are options of a 5 pitch snow and ice route up to 50 degrees or mixed routes on low 5th class terrain. 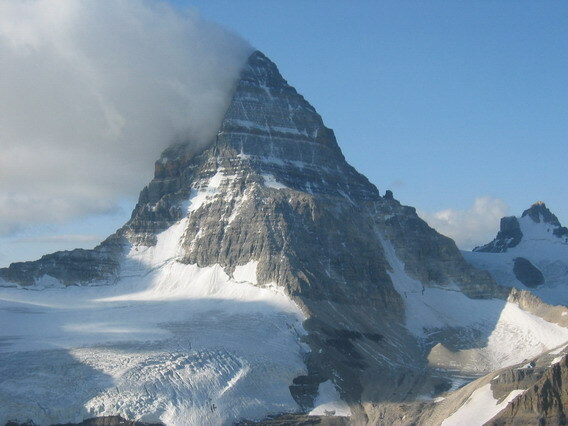 Mt Sturdy takes 6-7 hours from the hut and is a great route for bad weather days or if you have climbed Mt Assiniboine on day two. 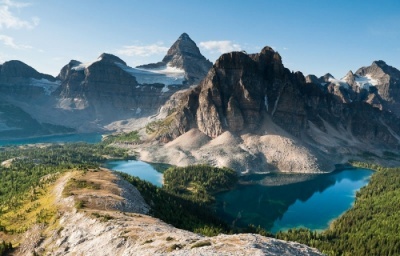 Mt Assiniboine Provincial Park, nearest town is Canmore AB. Alpine grade 3, 5.5 rock climbing, can be mixed snow and ice. 3 days total, 10-14 hours on route return to hut. Mid July to the first week of September. Fees are quoted per person, in Canadian funds. 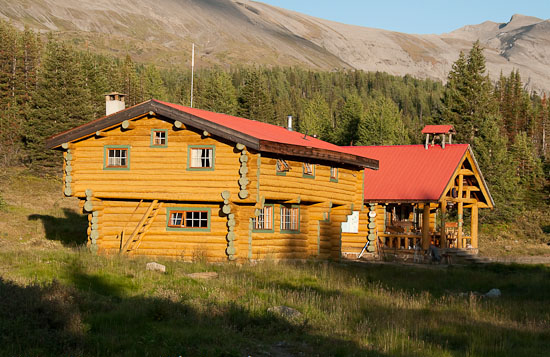 Prices include helicopter, hut, food and guiding services. Full or partial climbing gear package available, crampons, helmet, harness or tools.